This thing that I think that I am, sometimes, I am not. Looking at an X-Ray of my right foot has twisted my mind into knots for the past few weeks. It’s not that they found anything that disturbing. 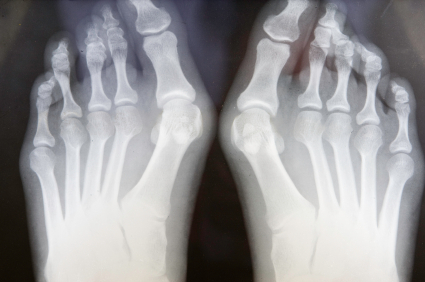 My doctor discovered a bone spur, which I was pretty sure that I had. No surprise there. I am having surgery tomorrow. Again, not a surprise. The thing that got in my head was the X-ray itself. If I am what’s in that picture…what am i? There was this picture of the bones in my foot staring at me. The doctor was pointing to things and saying a bunch of words, but I was transfixed on the picture. There I am? There I AM! There I am?!?!?!? This picture is of the inside of me. Underneath all of this skin and blood are a set of bones. These bones have been with me all of my life. They were at my high school graduation, they were there when I got married, they attended the births of my two beautiful children, they have seen me laugh, they have seen me cry, they have been there when I thought I was alone. I couldn’t process it. These bones are actually me! The me that I think I am is the thing that experiences the world consciously. I am aware of feelings and ideas. I make plans and I remember experiences. I see, I smell, I touch, I taste, I hear. I have no problem associating these things with me. Then, there are these bones. They are in me, they are part of me, but I can’t believe that they are me. This picture wasn’t some random x-ray they keep in the back and show everybody. These were my bones! Seeing them really sucked the magic out of everything. I tend to think of myself as more than the sum of my parts, but maybe I am nothing more than my parts. Maybe, I am just bones and skin and blood with a few organs floating around. There are parts of myself I have never seen. I don’t know what my hip bone looks like. I don’t know what my liver looks like. My heart, my brain, my lungs…all highly valuable parts, but I couldn’t tell mine from my neighbors. The me that I know seems so special, so unique. My memories seem so important, as if they are part of some great mystery that I have a lifetime to solve. My thoughts, my ideas, my identity all seem to be pieces in the great “who am I?” puzzle. They all conspire to make me believe that I am an enigmatic character whose mythology is terribly important. And then, there is this picture of the inside of my foot. It is not special. It is not unique. It is simply mineralized osseous tissue housed in a pile of skin that is called “foot”. There are somewhere in the range of 14 billion of them and they all pretty much look and act the same. Sure, there are minor subtleties and nuances, but for the most part, what is the difference? My foot does not find itself unique. It pushes against surfaces over and over throughout a day. It works, it rests. It does not feel loneliness or claustrophobia if it is trapped in a shoe for too long. It does not become jealous that I am favoring my other foot. It does not make plans to meet with my spleen for coffee. It does not become romantically involved with my esophagus. It does not ponder the mysteries of the universe and wonder what will happen to it when it dies. It is material and material has no time for enchantment. It simply is. When it ceases to work, it will waste away along with the rest of this thing that is me. There is a part of me that cannot imagine that this is possible. There must be something else, there must be something more. I am more than that picture. I am not just bones. I am not just flesh. I am something mystical. I am more than those parts. I am more than words on a page saying “healthy, well-developed 35 year old male suffering from Hallux rigidus“. Right? Right?!?!?! Maybe this identity of mine that I find so fascinating is just a bunch of electrical impulses. Maybe we are just piles of material walking around among other piles of material, thinking that thoughts and memories and ideas make us more. These self-important piles of material spend much of their time avoiding damage so that they can one day be part of creating new piles of material. And on and on with no direction, no meaning and no end. Thousands of them are created each day and thousands disintegrate. It does not matter…it is only matter. This entry was posted on March 6, 2011, 1:58 PM and is filed under Articles I Probably Shouldn't Have Bothered Writing, Existential Rambings, Health Tips for An Early Death, Pointyheaded Highbrow Stuff. You can follow any responses to this entry through RSS 2.0. You can leave a response, or trackback from your own site. The latest issue of Scientific American magazine (or was it Smithsonian? – I forget) has a nice photography-article showing stained micrograms of slices of mammalian brain tissue. It is remarkable for showing the incredible complexity of that organ, including a staining process which distinguishes one type of brain matter from another. It is not the other body parts, like toes or tonsils, which complete the package, but the brain. It alone accounts for the gestalt by combining sensations from all the parts into an identity. Have you heard about phantom pain? It is pain felt in a missing limb or digit and is caused by confusion in the brain. The body’s pattern is replicated in the brain and when it stops receiving signals that should be present, it revolts by sending out messages to seek the missing component. Doctors some decades ago discovered an amazing thing. When a mirror is used in front of a missing limb the brain can be easily tricked into thinking that everything is all right after all. The therapy only has to be repeated at intervals of some months. What a marvelous machine is our brain – the source of self-awareness. Take good care of that toe – it would be missed. Yes it is! And a strange one as well. Phantom pain is a really interesting idea. That whole thing about the mirror is intense! I will need to sit and think on that for a while. I am really hoping to keep the toe! I am clumsy enough as it is. A missing toe would be the only way I could get worse at dancing. By the way, the next blog or two are going to be effected by pain killers, so I cannot promise that anything I write for the next week will even be moderately coherent. Be forewarned!